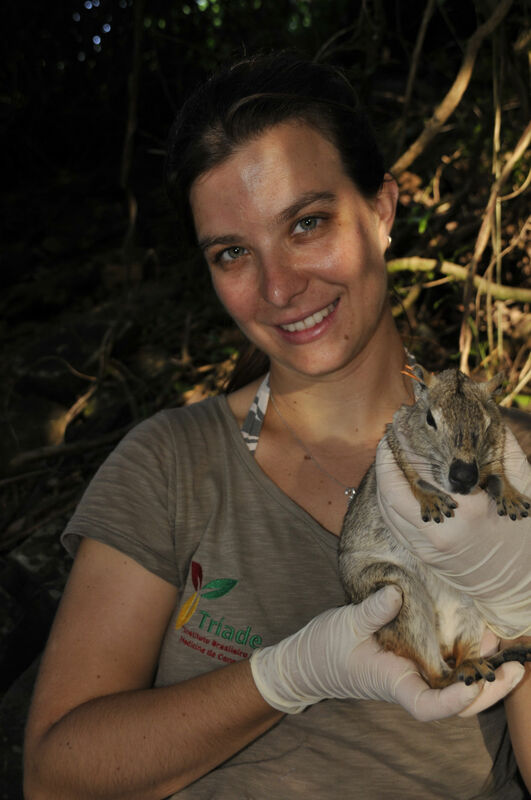 Tatiane is a wildlife biologist studying the invasive (but otherwise very cute) rock cavy on the island of Fernando de Noronha, about 220 miles off of the Brazilian coast. Introduced in 1967, there has been very little research to understand the effects this species might be having on the island’s ecosystems, or even to find out how many there are! 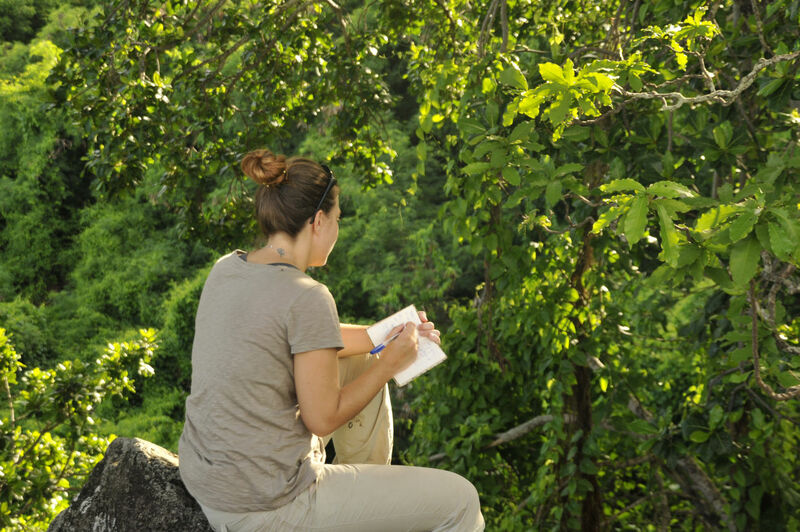 Here Tatiane tells us about her research and what it’s like to work on Fernando de Noronha. 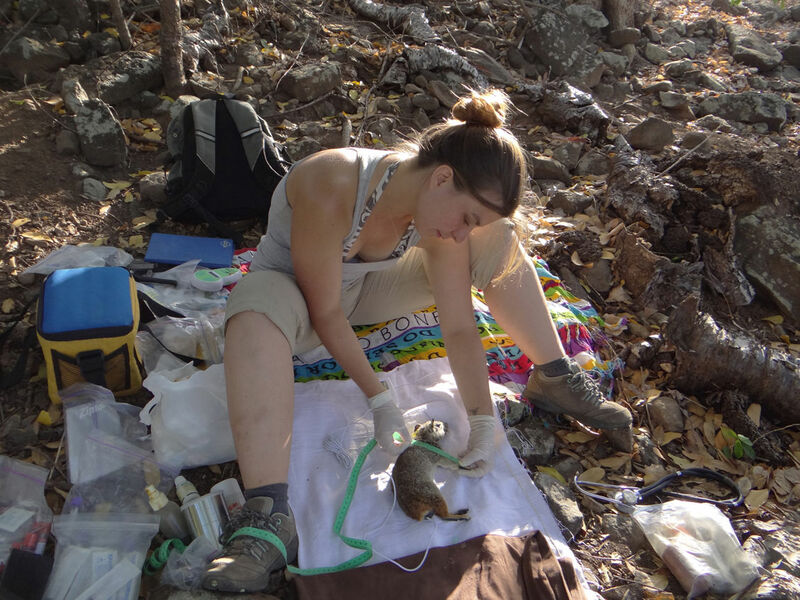 Bio: I have been working with wildlife for the last 10 years, since I was an undergrad student. At that time, my primary focus was on wild cats, mostly jaguars and tigrina. I have never considered working with something different from conservation, and as I have always been extremely curious about animals in general, I became a biologist. 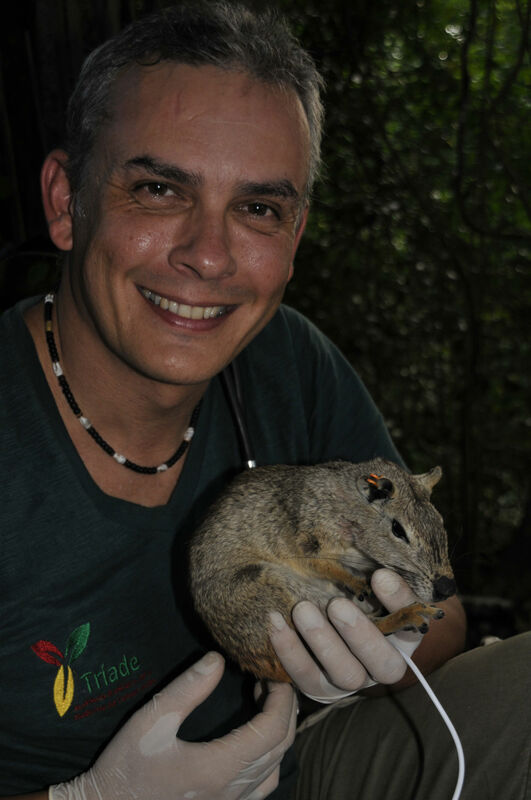 Currently, I help coordinating studies with invasive species in island environments and I am in the executive board of the Brazilian Institution for Conservation Medicine – TRIADE.  Can you give us an overview of your current project? My main object of study at the moment is the introduced rock cavy (K. rupestris) in Fernando de Noronha (PE – Brazil). This is a native Brazilian rodent (Caviidae) species that naturally inhabit the Caatinga (Brazilian dryland). In 1967, some of these animals were captured and released in the island to serve as game for the militaries. However, in 1988 around 70% of the island was declared a National Park, and the hunt of any Brazilian species became forbidden there. 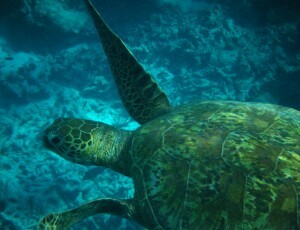 As time went by, this species bred and spread throughout the rocky environments in the island, forming family colonies. Today they are found in almost any natural or manmade quarry. This species is said to change the island landscape and native flora composition through predation of tree barks and roots. However, no research on the island has been conducted so far, and the true caused impacts of this species in Fernando de Noronha are just now beginning to be known. So the rock cavy is an invasive species, can you tell us more about this issue? Invasive species – according to the IUCN’s definition – are a major concern all over the world due to the negative impacts they can have on the invaded ecosystems. These, in general, lack predators, diseases and natural competitors, which allows them to quickly adapt and spread in the new environment. Due to this quick adaptation, they have the potential to cause severe social, ecological and economic negative impacts on the invaded ecosystem. 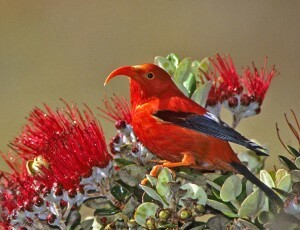 Nevertheless, although invaders are the first most important driver of extinction in islands, different species do not threaten the invaded habitat in the same way or intensity. It is imperative that management plans for invasive species consider ecological, social and economic impacts caused by these as well as all management costs for achieving the proposed goal, the opinion of the local population regarding the management actions, the technical feasibility of the management plan, and most important, its long term outcomes. Managing invasive species without proper planning, or managing species that have no measurable impacts on biodiversity, on ecosystem functions, or on social and economic dimensions, can be considered a waste of time and conservation resources. 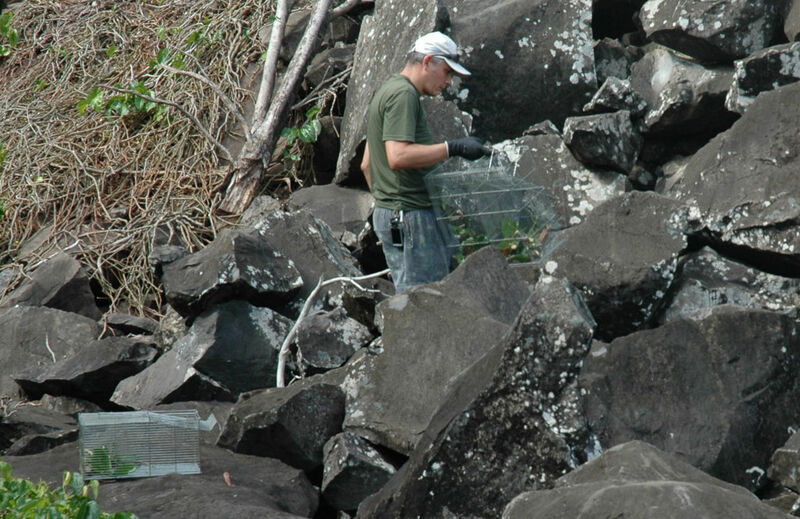 For this, basic research on invasive species, especially in island environments, is of primary importance. TOP: Portrait of a rock cavy (Rafael Pinheiro). BOTTOM LEFT: Paulo Mangini setting traps. BOTTOM RIGHT: Tatiane Micheletti counting rocky cavies (Jose Carlos Roble Jr). "Lately we have been able to rent a buggy to carry equipment and help in the field work, we have already done the whole field work using bikes!" Your fieldwork is out on an extremely remote archipeligo. Can you tell us about what it’s like to work there? Fernando de Noronha is an oceanic island that belongs to Brazil. It is around 370 Km from the closest city in the continent (Natal, RN) and is more easily accessed by commercial airplane, although it could be possible to go by ship. 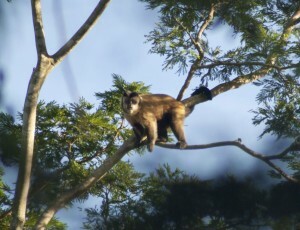 The island has controlled tourism and is protected by law, with 70% of it belonging to a National Park managed by the federal Brazilian government office called ICMBio. 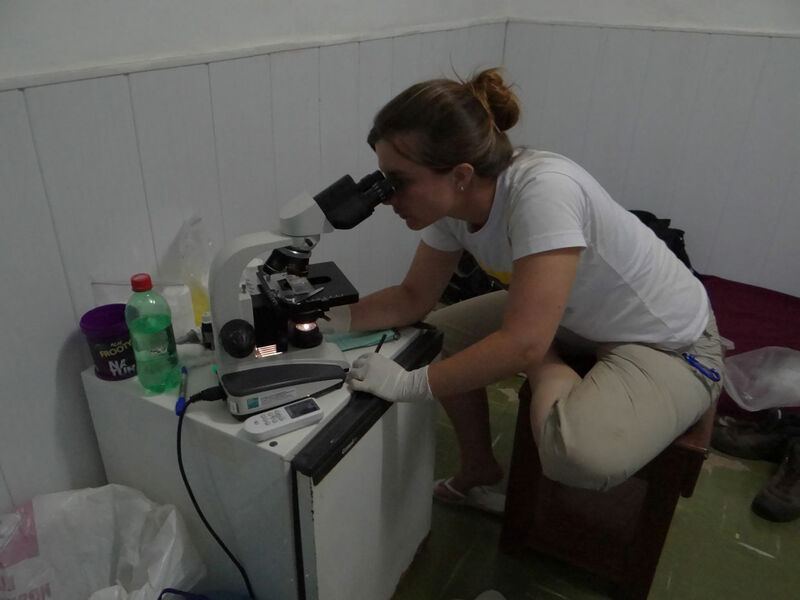 Normally our team stay in accommodation provided for researchers by ICMBio, although sometimes it is necessary to either rent rooms in the houses of some local inhabitant or camp. Regarding food, although most of the places are expensive restaurants for tourists, there are some small restaurants for the local community, in which researchers normally eat. Sometimes, we also need to carry packed sandwiches to the field in order to be able to carry out our “search expeditions”. Our work involves mainly three activities that began at 4:30am and go until 7 or 8pm, during weekdays: (1) trapping, capturing and marking the animals from specific colonies with coloured eartags (see pictures! ); (2) observing the colonies to visually “recapture” the marked animals; (3) making “search expeditions” to look for all quarries in the island, check the presence of the animals as well as estimate their density. 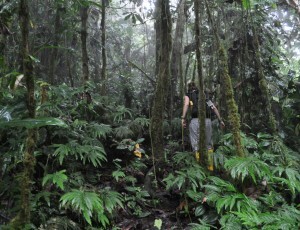 During the search expeditions, we normally walk up and downhill between 8 and 20km per day. Although lately we have been able to rent a buggy to carry equipment and help in the field work, we have already done the whole field work using bikes! TOP: The view along the coast of Fernando de Noronha (Paulo Mangini). BOTTOM LEFT: Tagged rocky cavy, this helps the researchers identify different groups (Rafael Pinheiro). BOTTOM RIGHT: Paulo Mangini with rocky cavy. "You can’t be lazy! For the traps to work out, they need to be set before the sunrise and the animals wake up." 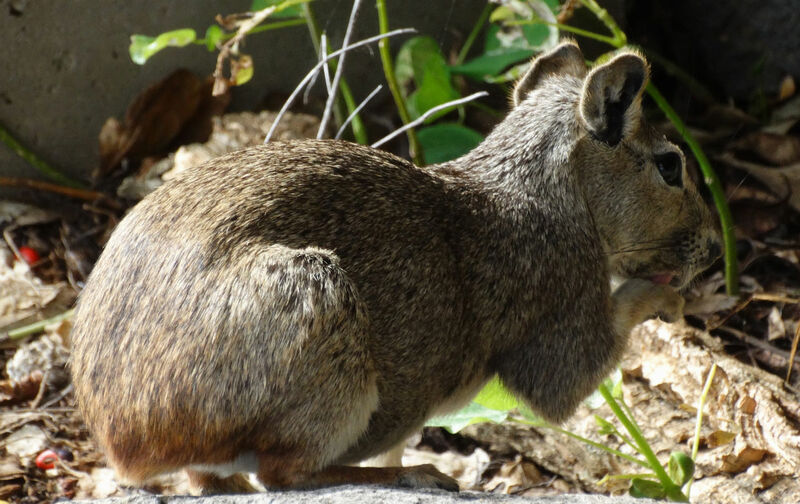 The islands have a number of endemic species, is the Rocky Cavy likely to have any effect on them? The major impacts attributed to this species are the changes in endemic flora and landscape by the predation of tree roots, the dispersal of exotic seed species, and the health risk regarding transmission of zoonotic pathogens to humans, and domestic and endemic animal populations. We have already found out that some of these negative impacts accredited to the rock cavy are not exactly true. 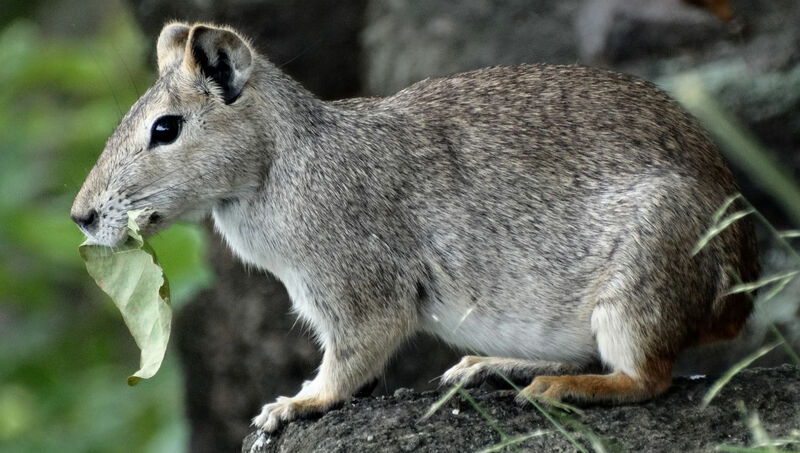 The rock cavy does eat leaves of native species and, in the dry season, even their barks. However, this is not an animal adapted to dig, as would and armadillo or an anteater. It has really soft paws almost devoid of nails because they are climbers, they get to the top of the trees to eat the tree leaves. This means that the popular knowledge that the animal digs to eat the tree roots and causes the trees to fall and alter the landscape is probably not correct. Of course that in some cases, if the tree is already exposing its roots (most likely in the course of falling), the cavies could accelerate the process if they predate on it. However, saying the rock cavy is responsible of causing this process is presumably incorrect. Regarding the cavies effects on the native plants, so far we have noticed that during the wet season (March to August), they feed almost entirely on green leaves. When the summer comes (September to February) and the rain stops, the island becomes really dry with several of its species losing their leaves. At this point, the animals start eating the bark of the trees, although we have already seen several animals that keep feeding on dry leaves that fall on the floor during summer. When the bark of the tree is eaten and a “naked” ring around the branches is formed, that branch dies out. 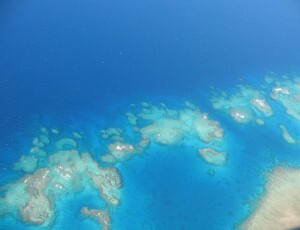 However, regeneration in most of the species in the island is quite successful due to the extreme environment. In this sense, the cavies could reduce the tree fitness. However, another observation we made is that the animals feed mostly in a radius of less than 50m from the colonies. Several biological reasons can be pointed out for that, but the main ones are that the animal is colonial and highly vulnerable outside the rocky environment. What else have you and your team learned about the biology of the rock cavy? Their survival depends mostly on them running fast and hiding. It is indeed the first wild animal I have ever worked with that does not try to bite you if you catch them! Almost all trees we have seen further than 25-30m from the center of the colonies did not show any signs of eaten barks or reduced fitness due to predation. On the other hand, we have not yet assessed the effect the cavies might have on native species shoots, and we believe that if they cause any significant impact to the native flora, it is most likely in the new trees. Another interesting thing about the species is that they do eat native plants’ leaves, but they also enjoy exotic plants a lot. We did not have time yet to check the percentages of food preference, but its predation on exotic and invasive tree species is certainly a factor we need to consider. The last negative impact attributed to the cavies is regarding diseases. We are also collecting samples and investigating it, but we don’t have any data yet. 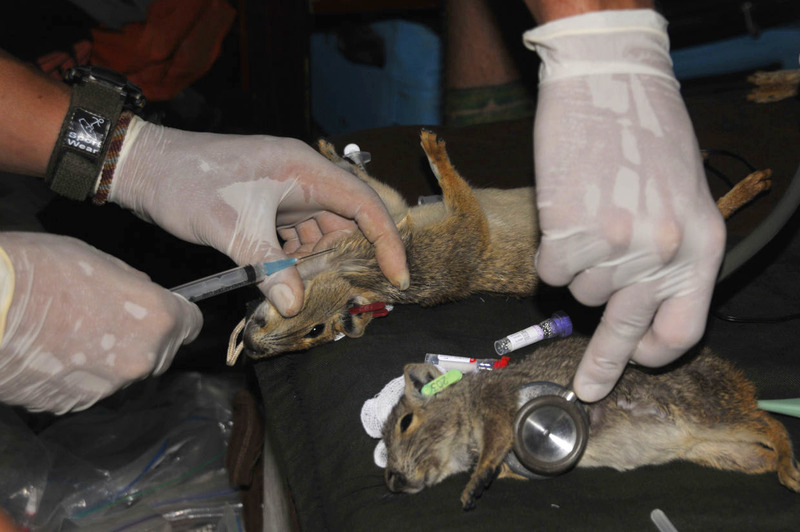 TOP: Recording a cavy’s biometric information in the field. BOTTOM LEFT: Rock cavy (Rafael Pinheiro). BOTTOM RIGHT: Tati with a rock cavy (Paulo Mangini). "As any of the tourists that have been to the island would say: the place is a natural paradise." If the Rocky Cavy turns out to be having a negative effect on the islands ecosystems, will you have to find a way to control or remove them? Our main objective with the project is to be able to give a feedback to the local community and the local decision makers about what they can expect of this species from a scientific point of view. 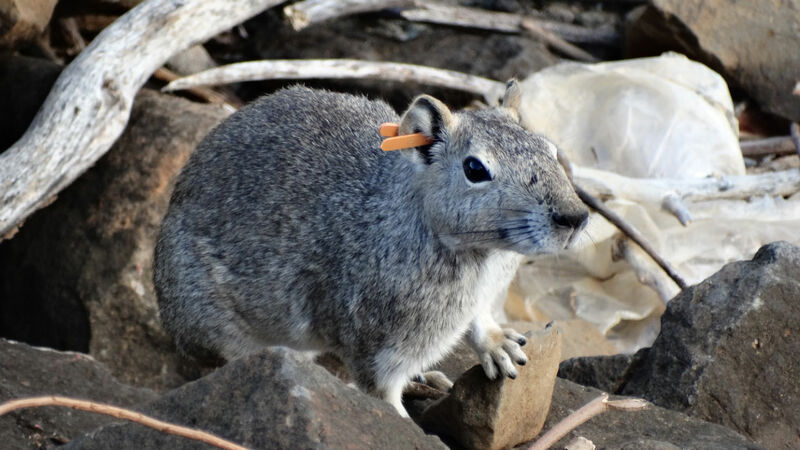 One of our goals for that is to promote a workshop with all stakeholders, in order to pass on all information we gathered and analyzed about the rock cavy, its impacts and possible management options. It is important to highlight that the management itself is not our goal or responsibility, but belongs to the governmental institution in charge of the National Park (ICMBio). 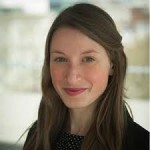 However, we will give them all the technical support to develop the proposal designed during the workshop, as well as all the necessary training they might need to follow this management plan. 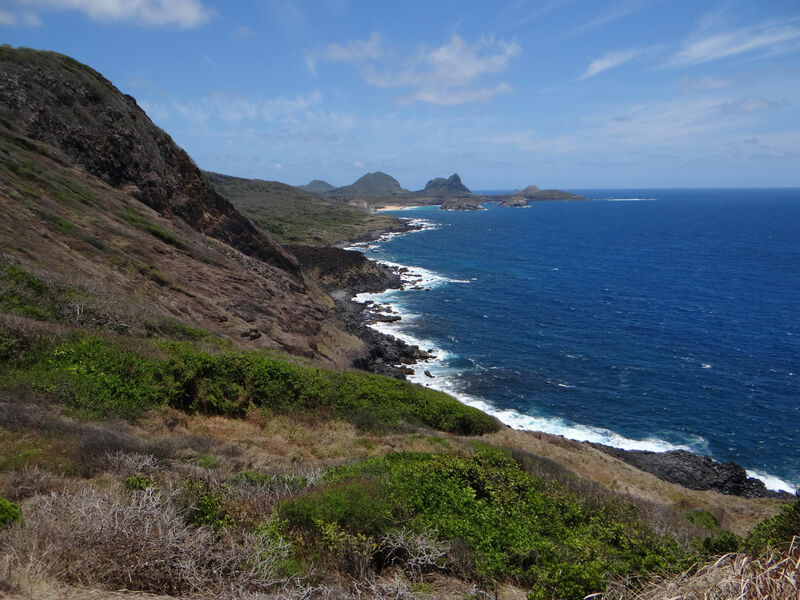 Tell us about the best aspects of being a field scientist on the island? As any of the tourists that have been to the island would say: the place is a natural paradise. It is indeed one of the most beautiful places in Brazil. 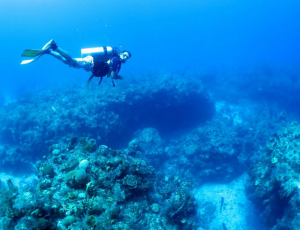 Besides, as an amateur diver, I do enjoy the free time we have to do some scuba diving as well as snorkelling, which I would say is one of the best experiences in the island. The local people are also another great aspect of working there. 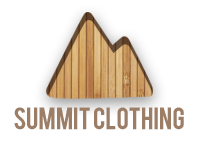 They are always kind and eager to talk and help you. Besides, most of them are quite interested in the researches taking place in the island, what makes the job easier for us, especially regarding finding out unknown things about the history of the island and its fauna. Despite the amazing landscape and the nice local people, it is quite hard to work with such an unknown species. The fact that we lack even the most basic information about the population living in there (i.e. maximum number of cubs per brood, lifespan, mortality rate) makes our job even more difficult. TOP: Working with rock cavies at night. BOTTOM LEFT: Tati in field laboratory (Paulo Mangini). BOTTOM RIGHT: Sampling blood for analysis. All images copyright Tatiane Micheletti and colleagues, and may not be reproduced without permission. And lastly, if you could share just a few pieces of advice with anyone interested in working somewhere like Fernando de Noronha? 1) Never forget that everything is connected. The management of the natural environment is not something a scientist, a decision maker or a local inhabitant can do on his own. For a management plan to work, its consequences to all dimensions (ecological, social and economic) and all stakeholders need to be accessed. For that, the scientists need to work with decision makers and the local community. It is essential for the success. 2) You can’t be lazy! For the traps to work out, they need to be set before the sunrise and the animals wake up. This means waking up every day at 4:30am. However, it also means watching the sunrise every day and get excited with all the different colours in the sky. Working in the island also means walking. A lot. Uphill, mostly, as we need to map all colonies in the island. However, it also means you get the best view and the most impressive hidden landscapes one can possibly see there. It’s the big prize for such effort! 3) Always have a swimsuit with you. You never know when you will find yourself in a nice beach between “search expeditions”. A refreshing sea bath is always welcome. 4) Have your camera with you all the time. It is amazing how the landscape changes completely behind a hill. You will be disappointed if you cannot register it. 5) Talk to the people. Especially the inhabitants. They can tell you amazing stories about their families, the life in the island, island legends and personalities.